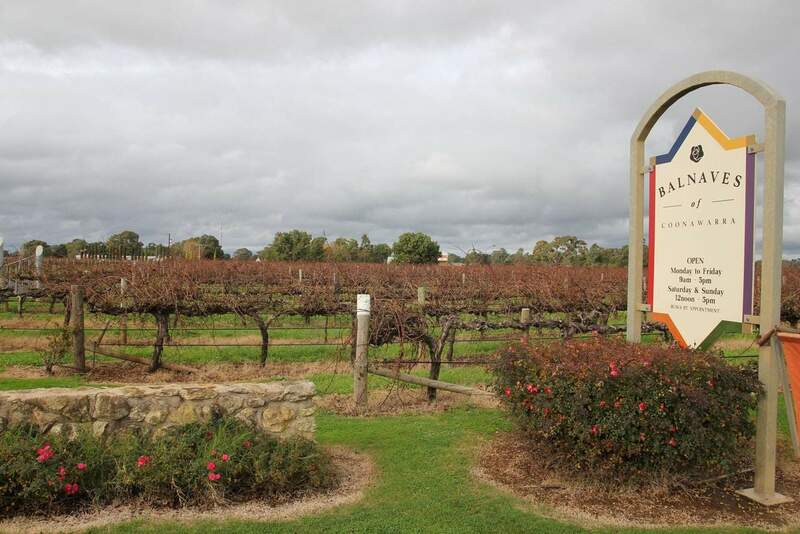 The Coonawarra district in South Australia is known for its wide array of wineries, vineyards, and cellar doors. Just like Victoria’s Yarra Valley, Coonawarra is also known as a wine lover’s paradise. Whilst visiting this beautiful town in South Australia, stop by the quaint family-owned Balnaves of Coonawarra for a bit of wine tasting. 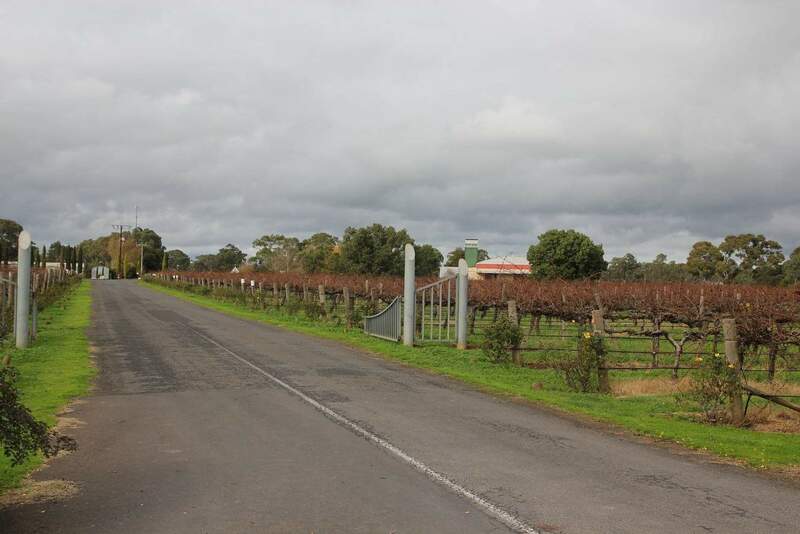 This small family-owned winery is located in the heart of Coonawarra, along the terra rossa strip. Recently, Balnaves was presented with the “Winery of the Year” award for producing a range of authentic sparkling and classic wines. The Balnaves Family uses their own farm-grown grapes for producing wines, selecting their fruits carefully and exclusively from each harvest. With an aim to produce high-quality wines, the Balnaves Family started this business many years ago and still focus on quality, unique flavours and consistency. You can certainly tell the difference when you taste their wines. The Balnaves family believes in creating unique wines that have complexity, flavour and character; with some of their aged wines featuring tannin aromas, rich taste and outstanding texture. When you taste their oak-aged wines, you will get that one-of-a-kind flavour that will entice your taste buds. 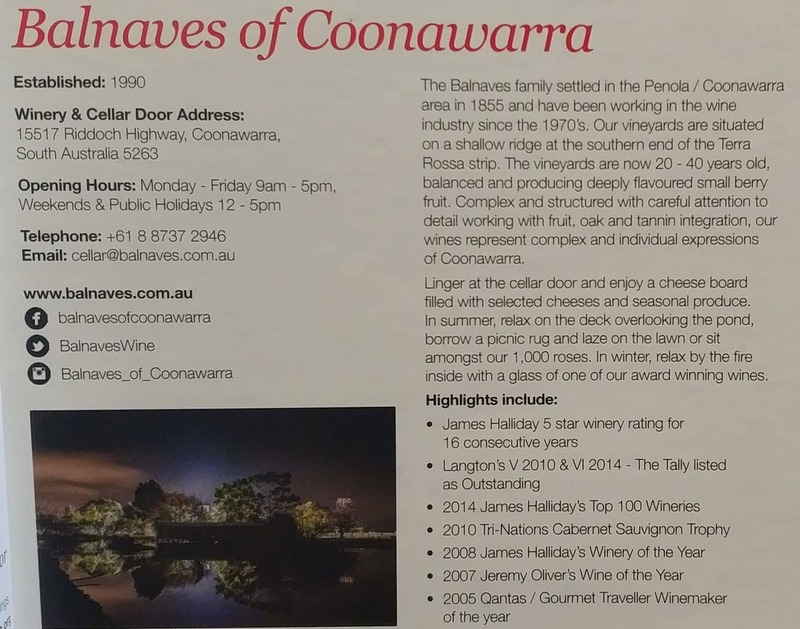 Balnaves of Coonawarra follows their family’s old traditional methods for cellaring, so they produce some of the most unique flavoured wines in the entire Limestone Coast region.